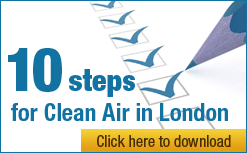 The Campaign for Clean Air in London (CCAL) welcomes the high-profile highlighting this week, in separate developments, of the government’s failure to tackle air pollution over the last 10 years and the serious health consequences arising. CCAL calls on the government to apologise for not warning the public, as it should have done, about the full extent of the health risks of poor air quality after its failure to update, or its ‘covering-up’ of, over 250,000 premature deaths due to dangerous airborne particles over 10 years. The House of Commons Environmental Audit Committee (EAC) announced on 21 October 2009 its new inquiry into Air Quality. The purpose of the inquiry is to assess whether the Government is developing an effective strategy for meeting its obligations under the EU Air Quality Directives. The Mayor of London’s top Environment Adviser, Isabel Dedring, and Simon Cousins, a GLA Environment Programme Officer, gave evidence at the EAC’s first oral evidence session on air quality on Tuesday 5 January 2010. A transcript of the oral evidence session will be available (in due course) on the EAC’s Reports and Publications webpage. In a separate development on Tuesday 5 January, Lord Berkeley (Labour) spoke in a landmark debate in the House of Lords on the preparations for the Olympic and Paralympic Games 2012.
iv. confused and ineffective delivery framework that exists currently to tackle air pollution (see Figure 8 on page 28 and Figure 11 on page 38). iii. EU legal action and the threat of unlimited fines are having the positive effect of energising people to take action, belatedly, to protect public health and comply with air quality laws (1 hour 17 minutes). “Importantly, evidence from the NAO has confirmed, yet again, the government’s failure since 1998 to update, or its ‘covering-up’ of, the real number of premature deaths due to dangerous airborne particles – despite scientific research pointing to much higher numbers. The number of 24,000 premature deaths, referred to by the government, includes 8,100 due to short term exposure to PM10 air pollution compared with CCAL’s estimate of some 35,000 due to long term exposure to PM2.5 (i.e. fine particulate matter which comprises around 70% of PM10). The government has published no new estimate of premature deaths (whether short-term, long term or total for either PM2.5 or PM10) since 1998. The government says the coarse fraction of dangerous airborne particles (i.e. PM2.5-10) contains no significant health risk.